Last year Microsoft Corp. closed its roughly $26 billion deal to buy professional-networking site LinkedIn, cementing the largest acquisition in the tech giant’s history. But few people may know that business valuation is a process to determine what a business is worth by looking at the facts, including the one that LinkedIn was facing a class action suit over the security breach that saw millions of users' passwords posted online. The revelation of the 3 billion accounts hack could have implications for the $4.8 billion sale of Yahoo to Verizon. So, it is a good idea to understand the different types of risks your business may face so you can recognize and plan ahead for them. And you should note that thinking about the worst things that could happen to your business can help you deal with smaller risks. $7.7 million: The average annualized cost to detect, respond to, and mitigate a breach globally. 20%: The scope of confirmed data breaches involving social engineering at one large telecom company. $19 billion: The proposed federal cybersecurity budget for 2016. 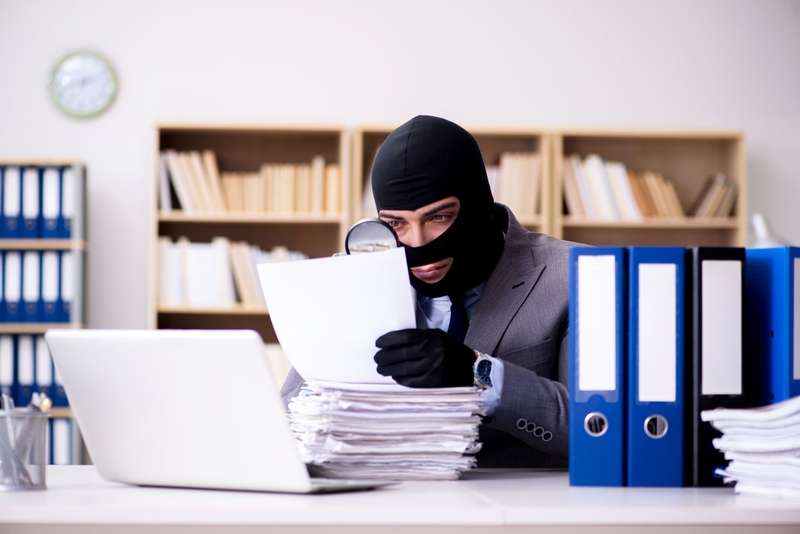 Are there any vulnerabilities, threats and risk consequences associated with your business? So today I am very excited to introduce our new project that aims to increase the level of security of cloud services, personal and corporate websites worldwide by providing professional risk and compliance reports based on best practices. CYBER GATES ® Web Application Compliance & Risk Management is a professional cloud-based security solution which allows you to determine the importance of potential risks to your online business. You can then decide to accept the specific risk or take action to prevent or minimize it. Growing your business? Evaluate the risks first. There are around 2 billion active websites on the world wide web today. On an average year, over 1 million websites are being hacked. So, every online business faces many risks that could present threats to its success. It doesn't matter if you are a small business, corporation or something in between, a successful cyber-attack can cause major damage to your business reputation and consumer trust. The more valuable the information in your database, the more likely it is to be targeted. If your records include sensitive or financial information that could facilitate fraud, your database will be more appealing to hackers who can use or sell this information for financial gain. As a result, this could potentially lead to loss of customers, loss of sales and reduction in profits. Risk evaluation allows you to determine the importance of potential risks to your online business. And as I said earlier, you can decide to accept the specific risk or take action to prevent or minimize it. Therefore, risk management should be a central part of any business’ strategic management. Risk management helps you to identify and address the risks facing your business and in doing so increase the likelihood of successfully achieving your businesses objectives. Websites are tested and certified to be safe from cyber risks that could harm your business reputation. A truly secure website is one that is free from malicious content, has no vulnerabilities or incidents, and encrypts all data going through it to protect your personal, financial or other confidential information from being compromised. Each risk is rated on a scale of one to ten. If a risk is rated ten this means it is of major importance to the company. One is the least significant. The report allows you to visualize risks in relation to each other, gauge their extent and plan what type of controls should be implemented to mitigate the risks. Outdated website is a top cause in web based attacks! Prioritizing risks allows you to direct time and money toward the most important risks. You can put systems and controls in place to deal with the consequences of an event. This could involve defining a decision process and escalation procedures that your company would follow if an event occurred. Can you predict who will win the US election?